The underground gay bar scene of the 1950s features as a vivid setting for this noir novel. This intriguing noir novel captures a cultural moment, set in 1950s San Francisco at a time when gays and lesbians established a strong sense of community, despite being harassed and often arrested by law enforcement simply for congregating. 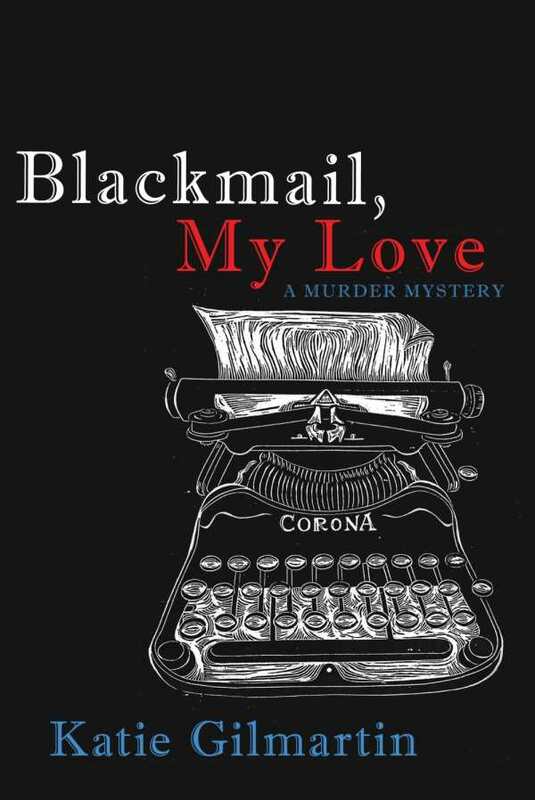 Blackmail, My Love, by Katie Gilmartin, chronicles Josephine O’Conner’s investigation into the disappearance of her older brother, Jimmy, a former member of the SFPD who later became a private investigator specializing in blackmail cases. Within the police department, Jimmy is known as a drunk who got kicked off the force for assaulting another officer. Prior to his disappearance, acquaintances at the gay bar he frequented began to suspect that Jimmy was a police informant, because he always escaped arrest during the raids. This type of betrayal doesn’t square with the person Josephine knows Jimmy to be. She believes his disappearance is the result of foul play, and she seeks to find out what happened to him—and to clear his name. The narrative is multilayered, and rich details establish a vivid picture of the underground gay-bar scene in San Francisco in 1951, following a state supreme court ruling that made it more difficult for police to harass patrons of gay bars. Gilmartin draws on historical facts and her own academic research interviewing forty lesbians about their lives. Josephine is a unique and complex central character. As she investigates her brother’s disappearance, she has trouble finding information, because men are focusing on her looks; so she cuts her hair, dons a man’s suit, and becomes “Joe.” Through the transformation, she begins to assume her true identity as a lesbian woman and explores her sexuality in the process. Although never “seen” in the narrative, Jimmy is also a well-developed character. Through his sister’s many recollections and those of his friends in the gay community, his personality, along with his hopes, dreams, and disappointments, are revealed. The short, staccato sentences create an atmosphere expected in the noir genre. Several striking black-and-white illustrations by Gilmartin offer further depictions of the characters and the setting. Variations in pace work well to maintain reader interest and mirror the ebb and flow of the narrative, including points where Josephine/Joe is pensive and where she is more frantic. Blackmail, My Love will entertain fans of the noir genre, but its social themes and messages about love and redemption will also appeal to a wider audience.